This whisky is drawn from cask HH0423, which was made of French oak and previously held fortified wine. This whisky is balanced, elegant yet assertive with beautifully integrated flavours showcasing dense Christmas cake, malt loaf, dark chocolate, caramel, sticky date pudding, surges of barley and a rounded warning glow on the finish especially of ginger bread, mild menthol and sweetened pickled spice. Nose: Lashes of barley are softened by layers of caramel, sticky date pudding and hints of vanilla spiced English style pot still rum. Flecks of cocoa and freshly polished wood balance against that sweetness, which begins to thicken into dark chocolate, rich dense fruit packed Christmas cake and shards of toffee with a slice of malt loaf. The bright caramel and vanilla infused sticky date pudding flickers on and off randomly, giving way to the other character then returning at unexpected times with the occasional sprig of mint and burst of menthol. 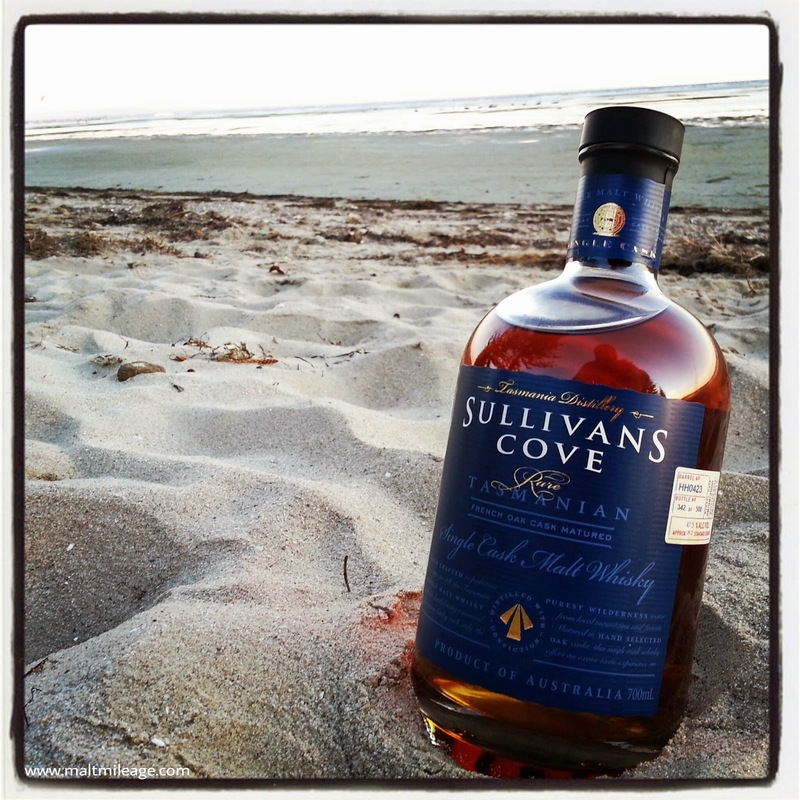 Such a complex bouquet, and one that radiates all the classic aromas of ex-fortified wine matured whisky with a distinctive Sullivan’s Cove twist. Taste: Thick, mouth-coating, viscous and rich. This whisky offers a beautiful balance. The nose suggests sweetness will flood the palate, but once this whisky hits the tongue the flavours balance out -.the initial burst of winy sugars are moderated by the oak which are then whipped into line by the flash of barley. An initial wave of thick honey, caramel and vanilla cake merges with dried dark fruit (dates, raisins, fig), and as the whisky rests on the palate the sugars recede into malt loaf with mild hints of filtered coffee and the buzz of barley which is accompanied by dense dark chocolate coated Christmas cake that is packed with dried fruit. Finish: The finish is long and progressively showcases sweet rounded spiciness. Ginger bread and mild menthol drops glow on the palate with very mild notes of sweetened picked ginger, but acting as a counterbalance to that spicy sweet “heat” on the tongue are soothing waves of vanilla and that BIG, RICH, DENSE Christmas cake that bursts with cocoa and cereal notes. This entry was posted in 5stars, Australian whisky. Bookmark the permalink.